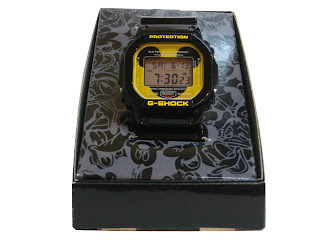 The DW-5600VT (TDS LIMITED) Mickey Mouse collaboration watch is currently available from a Japanese website. The retail price is about USD 280. It comes with a special Disney gift box. The watch will carry the Module 1545. It is unsure if there is a special background for the EL backlight.